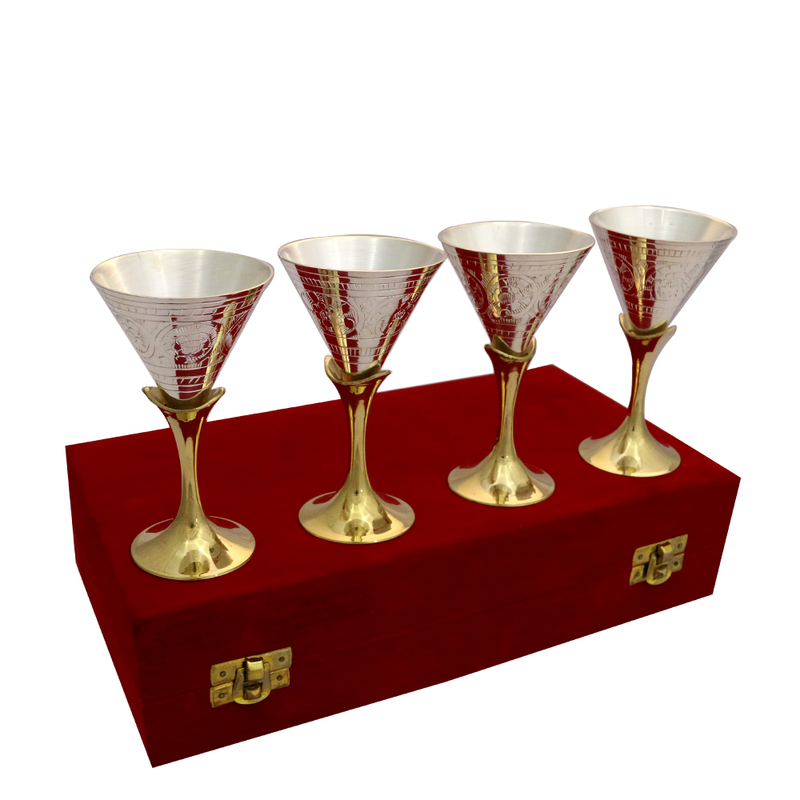 The Set of Four 2 Tone Wine Glasses in German Silver boasts of classy design, which makes it as much a delight to behold as Read More..to hold it in one’s hand. 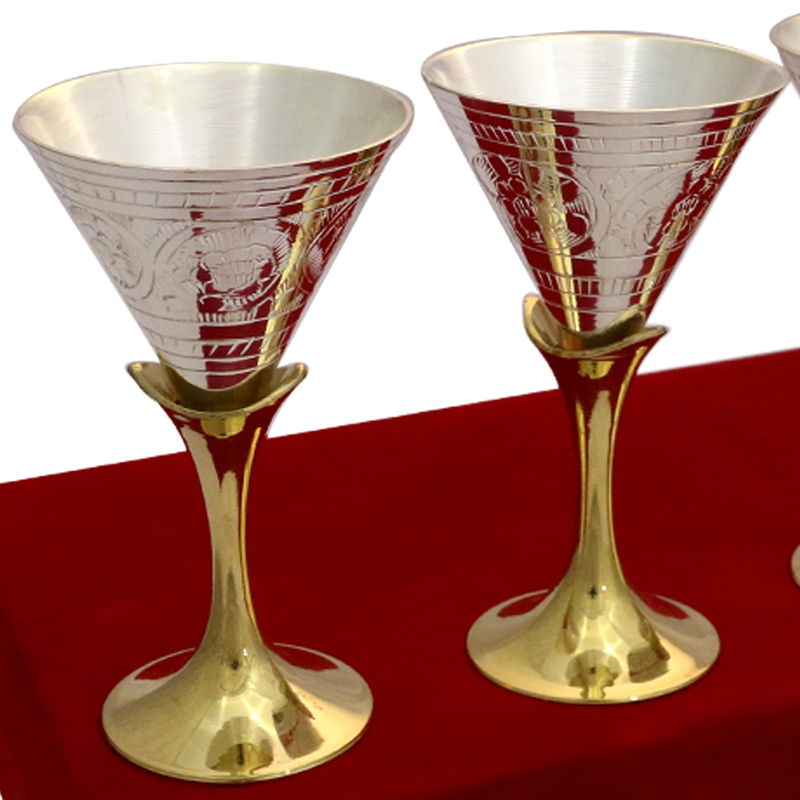 The presence of dual tone means that the bodies of the glasses feature a dazzling shade of silver, while the stems are a warm hue of molten gold. 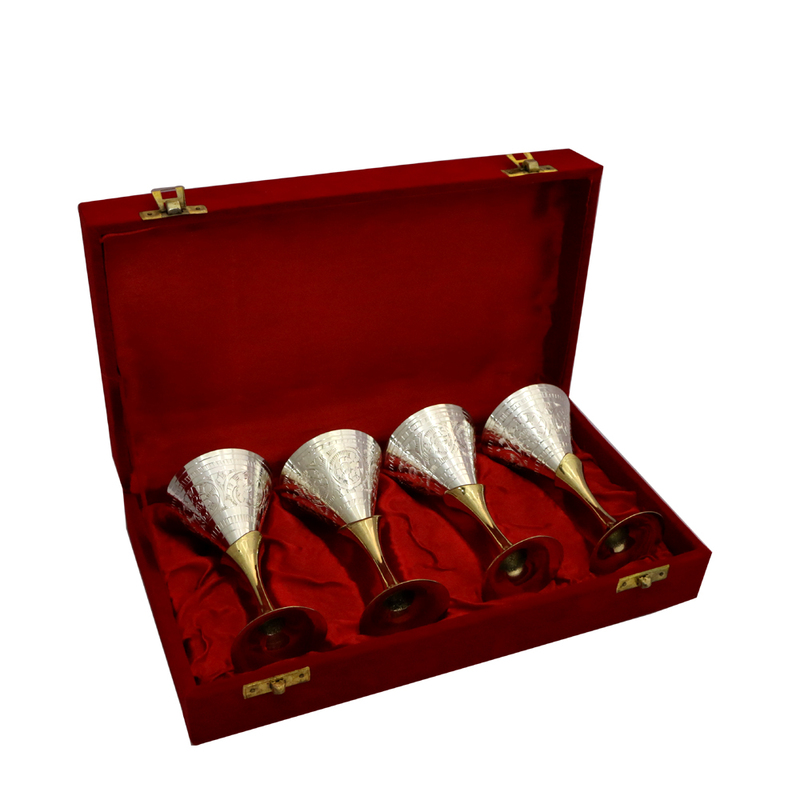 The four glasses form the perfect set for buyers intending to make their wine tasting or drinking sessions all the more memorable in the midst of such dazzling pieces of design work. Show Less..